perfect for any achievement and any budget. Why not check out our FAQ? 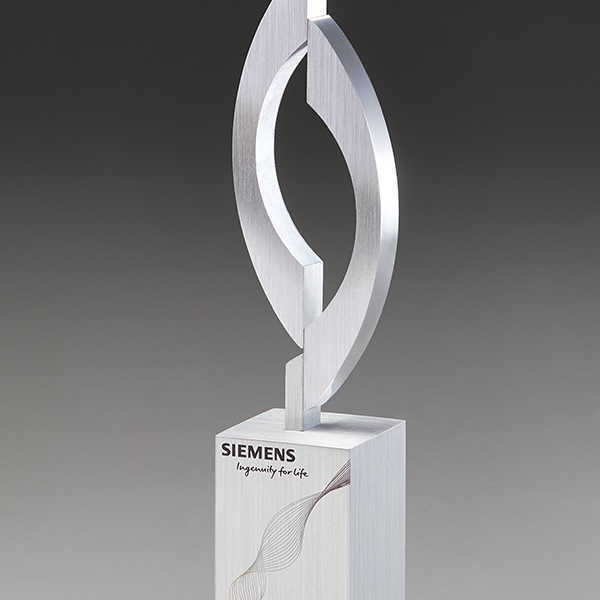 Printed corporate awards designed to your exacting specifications. We off full customization. Awards Available for express delivery. Options available for bulk orders. "Quick and professional service, fabulous awards and excellent prices!" "Everything Corporate have provided the trophies for the Amnesty Media Awards for several years now. The trophies always look good and Martin’s team are very efficient. They are a great company to work with and a valued partner for Amnesty." Commemorate a special occasion or recognise the achievements of someone you employ. 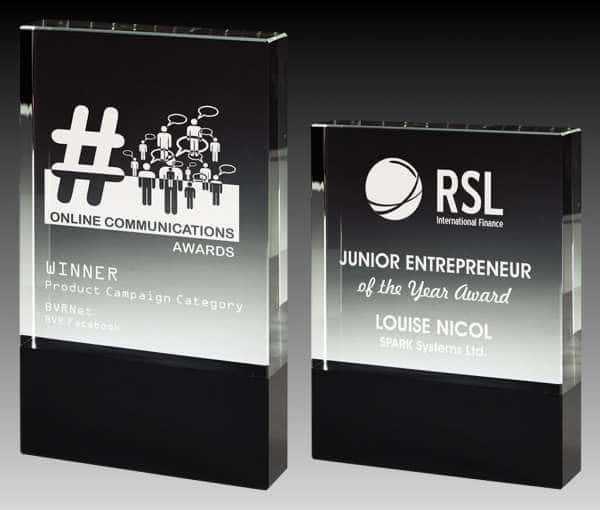 There are numerous reasons to invest in acrylic awards from our range. 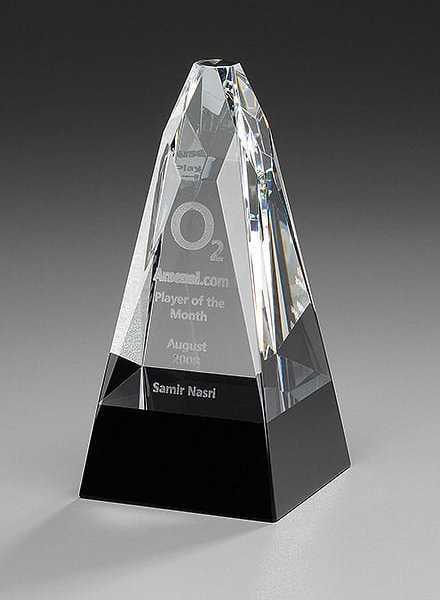 A wide collection of stylish optical glass and crystal awards that can be engraved with your chosen wording and any logos or images. We have a wide range of achievement trophies for you to show your recognition for individuals, whether it's leading employees or hard-working sports stars. Our gifts range allows you to find the perfect present for any occasion. We have a range of gifts allowing you to buy for a range of ages and personalities. Challenge Trophies offers a wide variety of wall plaques to suit your occasion. The plaques range in sizes with options for logos and personal messages to be engraved. If you're looking for an award that will truly stand out, then our colour printed awards are just what you need. These are perfect for corporate achievements. Our star awards are perfect for the rising stars in your team or business. They have a modern look and come in a range of sizes and materials. With one of the largest corporate awards ranges available anywhere, Everything Corporate Awards can help, whatever your requirements or companies' budget. We offer the means to make fantastic impressions at extremeley affordable prices. Giving long service awards from our extensive range of options provides the best value for any budget. With over 30 years' experience of supplying corporate gifts & awards for every conceivable event, Everything Corporate Awards are your ideal partner for your next staff awards presentation. 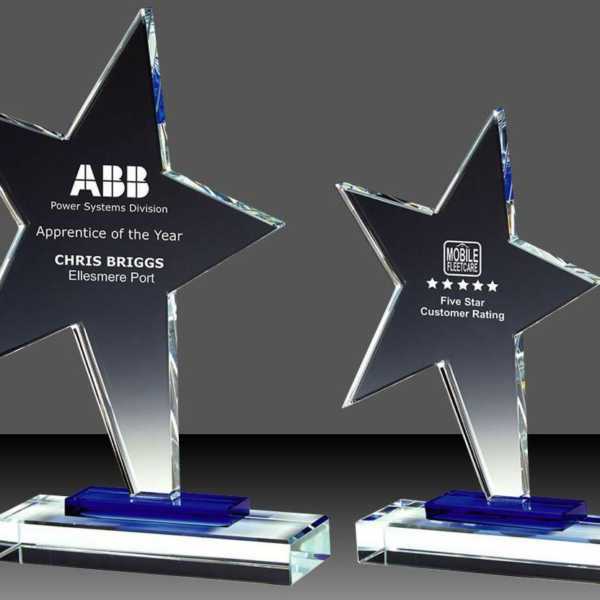 We supply many leading UK companies with their corporate award & staff trophy requirements.